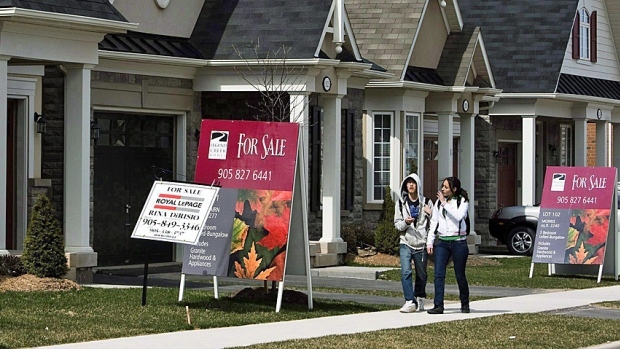 The fraction of Canadians who are preparing themselves for a decline in the value of their real estate increased to 24.6 per cent on the week ending September 16, according to the latest poll by Bloomberg. In addition, the share of respondents predicting price growth declined to 37.5 per cent. These numbers represented the lowest level of confidence about Canadian real estate since the crisis in 2009, Nanos Research stated. The Bloomberg Nanos Canadian Confidence Index weakened to 56.7 in the same week, the lowest level since April and a far cry from the record heights of 59.9 four weeks earlier. B.C. saw the most significant hit to consumer confidence, bottoming out at 54.2 from the 65.2 peak four weeks ago. Those who are looking forward to a strengthened economy in the next six months declined from 25 per cent to 22.6 per cent. Meanwhile, the proportion of those who believe the economy will weaken increased from 23.5 per cent to 24.1 per cent. The survey was conducted via telephone polling (with a rolling 4-week average) of 1,000 respondents, and is considered statistically accurate within 3.1 percentage points, 19 times out of 20.